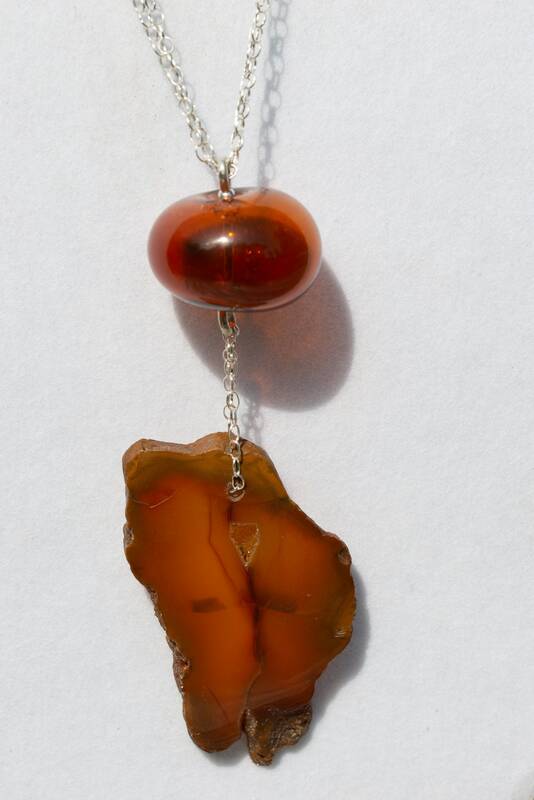 A one of a kind handmade pendant. 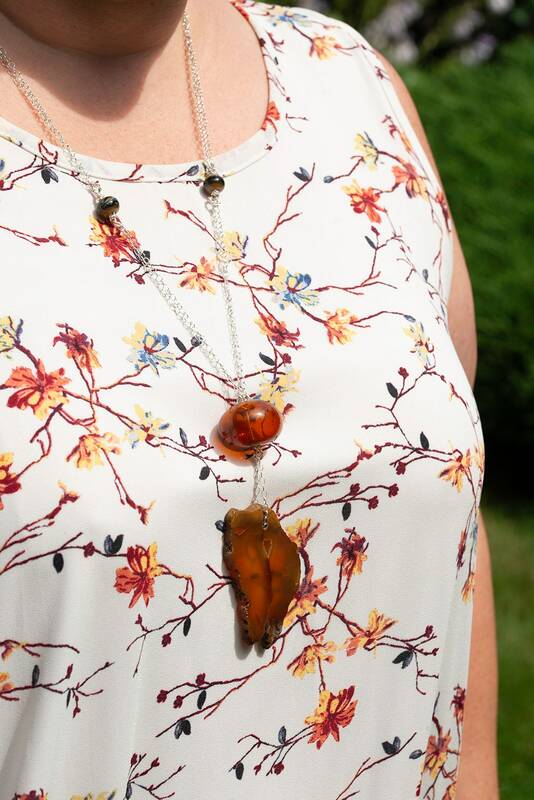 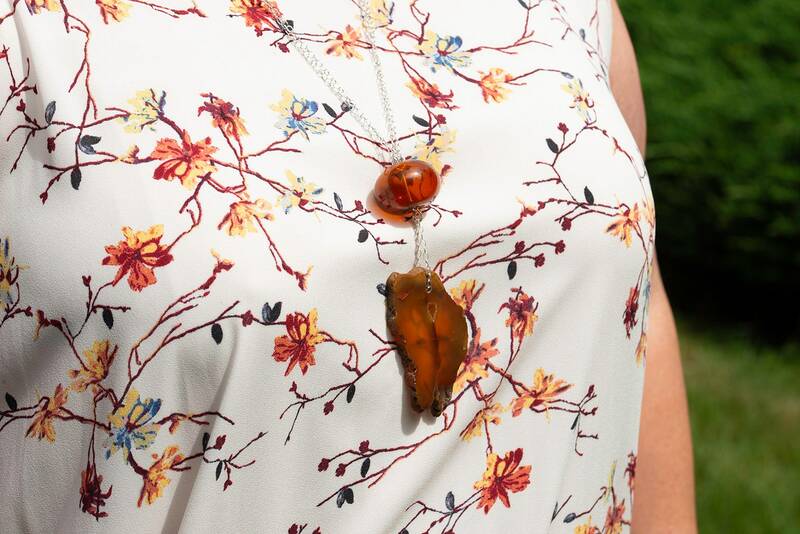 Made with an elegant hand cut and polished Montana Agate slice with a small druzy pocket. 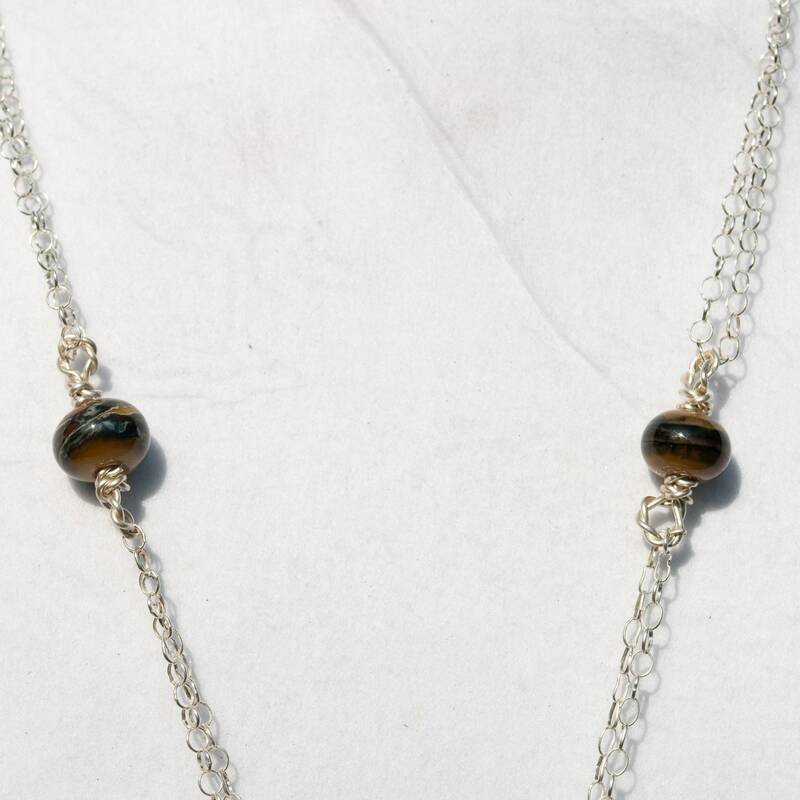 Hanging from a hand-blown hollow glass bead, and 2 accent lampwork beads on a sterling silver chain.